Falling behind on monthly payments – when a consumer is not able to make at least minimum payments on their credit cards, it may be beneficial to roll all debt into one loan. High outstanding balances – when credit card debt seems to be mounting and it not being reduced no matter how much is paid monthly, it may be worth considering consolidation. Calls from debt collectors – consumers who are getting regular calls from collection agencies may benefit from consolidation. The calls may stop once a plan is in place to deal with the balances on credit cards. For those consumers who have not irreparably damaged their credit, it is often a good idea to take out a single personal loan and pay down all the debt associated with credit cards. In many cases, personal loans offer lower interest rates, meaning the consumer gets out of debt faster. When taking out a personal loan, it is typically a good idea to close out credit cards that are no longer necessary. Consumers should review all their credit cards and identify one or two with the lowest annual fees and interest rates and maintain those cards while closing others. Keep in mind – as a rule, the more available credit a consumer has, the lower their credit score. Do home equity loans make sense? Homeowners who have high credit card debt may be tempted to take out a home equity loan. While this is not always the best solution because of the potential of losing the home to foreclosure if the loan is not repaid, for those who are on solid financial footing, this can be a good option. This is particularly true if the home equity loan is done in the form of an equity line of credit; the borrower can then take money as needed and there is no prepayment penalty. In some instances, a consumer can reach out to their creditors and work out an acceptable plan for repaying debt. This will require some discipline, as it will require limiting spending to free up cash to repay debt, deciding which credit cards to pay down first and may also involve not using credit cards while on a repayment schedule. 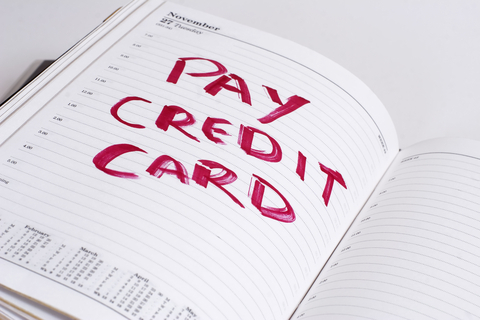 Consumers have several options when it comes to dealing with outstanding credit card debt. Each person needs to look at their overall financial picture and determine whether a personal loan, home equity loan or line of credit or working directly with creditors is the best option for them. There is no one-size-fits-all answer to dealing with credit card debt, but getting it under control can help consumers reach their financial goals.